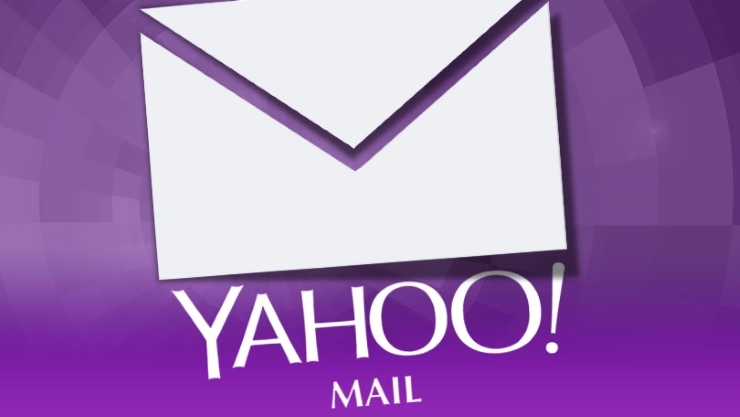 You will agree with us that desktop notifications are great, and that of Yahoo Mail is not exception. 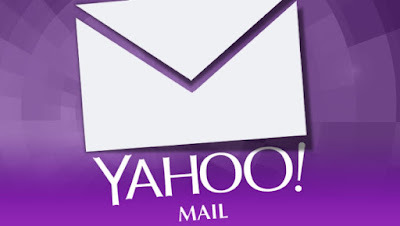 This is because, with Yahoo Mail desktop notification, you can see a preview of mail received during your browsing section without leaving the current browser tab you are in. 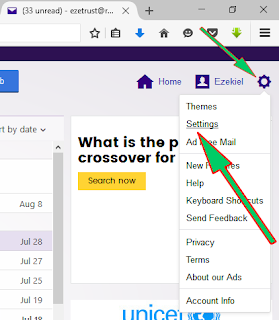 The steps below outline how to activate/turn on the Yahoo Mail desktop notification and is applicable if you are using Firefox, Chrome or Safari PC browser. When logged into your Yahoo Mail box, hover your mouse on the Settings Menu Icon as shown in the image below, and click on Settings from the menu list that will appear. 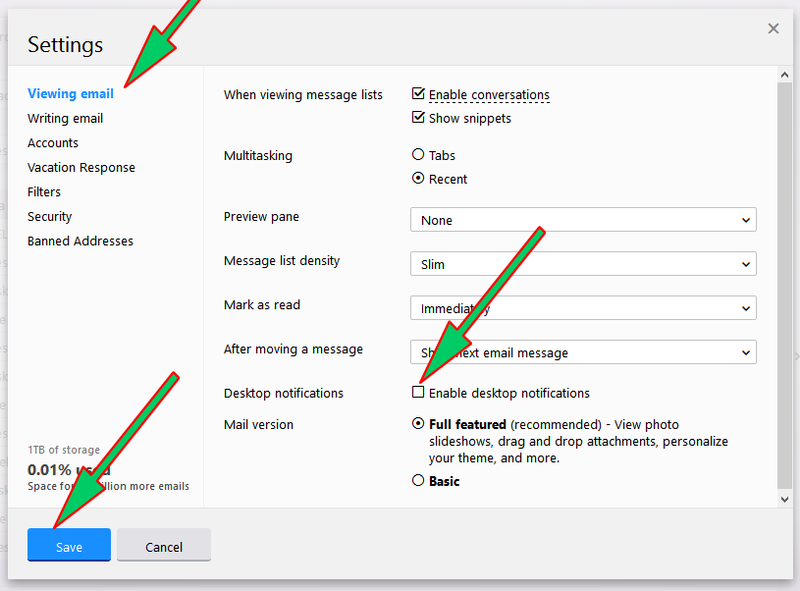 In the Settings box that will appear, select Viewing email in the navigation list and then check the unchecked Enable desktop notifications box, as illustrated in the image below. Finally click the Save button to activate. 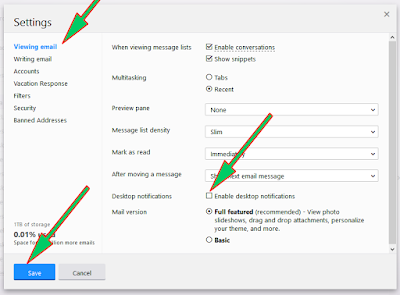 As noted above, this steps apply if you are using Firefox, Chrome or Safari PC browser. Also you should have in mind that if you do not perform step 3, then the changes made will not apply.